Last month, Solitaire-Play get a new game: Monte Carlo Solitaire. It's not a patience with a lot of strategy but it's easy and restful to play. Monte Carlo is a pair matching solitaire and uses only one standard deck of 52 playing cards. 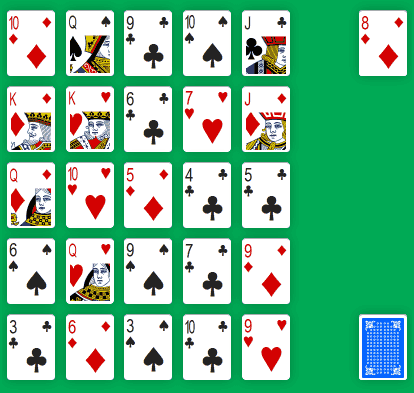 At the beginning of the game, 25 cards are dealt in a five by five grid. The remaining cards forms a face-down Stock pile on the side. Which are adjacent to each other (either horizontally, vertically or diagonally). Cards from the Tableau are “consolidated”. 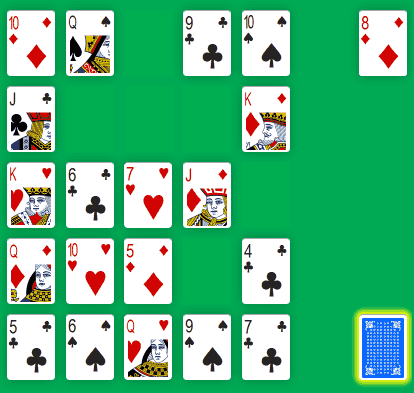 They move from right to left and up from the lower rows to fill in the gaps left behind by the removed pairs. Additional cards are dealt from the Stock to complete the 5x5 grid. When the Stock is empty, the redeal only remove empty spaces. 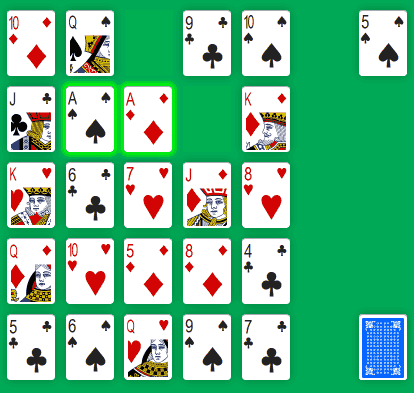 The game continues until all cards moved to the Foundation (you win) or ends when there are no more pairs (game over). Monte Carlo Solitaire is a fairly easy patience to get in. You match cards by rank (2 cards with the same “value”) and position (2 cards which “touch” each other). 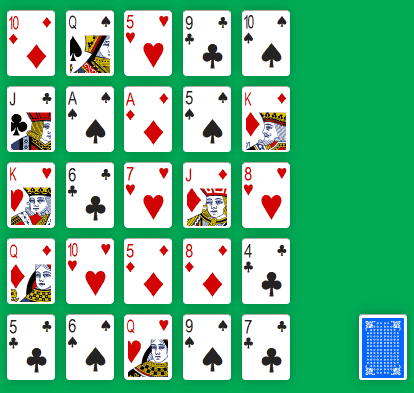 It's also a solitaire playable by children who can find matches and redeal cards when all possible pairs are done.